When a company announces a new female CEO, the news can be perceived as bad. 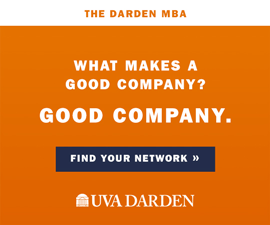 Darden School of Business professor Erika James and co-researcher Peggy Lee at Arizona State University found that a nearly 3 percent drop in a company’s stock price occurred with the news that a woman was taking the helm—a phenomenon that didn’t happen when a male hire was named. Their study, published in the March 2007 issue of Strategic Management Journal, indicates that females in senior executive positions are perceived as risks—at least initially. Why a company endures a downward trend is unclear, but James points to preconceptions about what makes a good CEO, a stereotypically masculine role. They studied hiring announcements and stock market data from 1990 to 2000 and corresponding company shares the day before the announcement as well as the day of and the day after to see what effect gender had on the market. The negative effect was not long lasting; stock prices eventually went back up and stabilized. The study also found that female CEOs who were hired from within an organization did not trigger the same negative response in the market, which suggests that prior knowledge of a candidate can go a long way—an important lesson for companies when presenting an outside candidate to their stakeholders. James is now analyzing another disparity that has become evident in women’s advancement into senior-level positions—compensation packages, which are less for female CEOs than for their male counterparts.